Leave it to an Indian-owned phone store to have the best holiday window on my block. I love creative anything I guess. 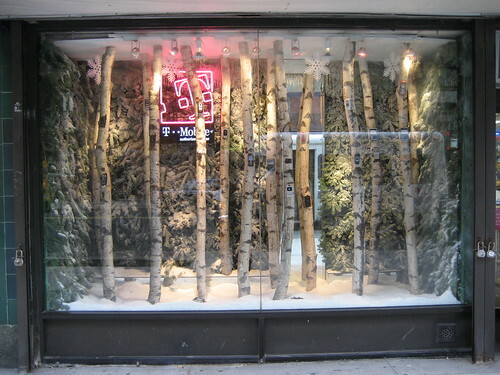 But I particularly like a creative window displays. Most stores don't have the time, or don't care to spend the valuable time you could be selling stuff with instead. Published on December 7, 2006 4:42 PM.